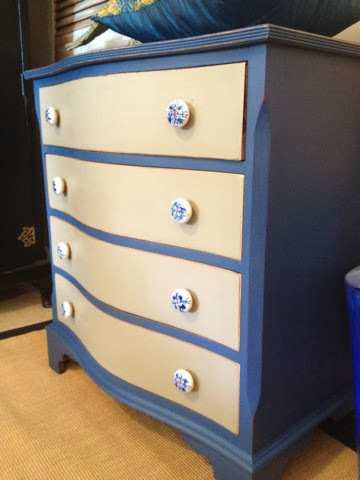 Here is a stunning little chest that I found for sale. 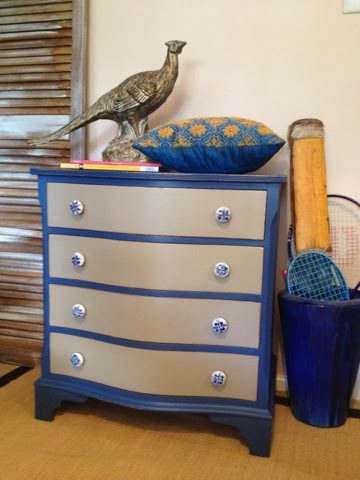 The story goes that it was brought over from England in 1940 - not sure of the exact age but it's certainly travelled the world & seen a few sights, which only adds to its charm! A rare find around here with its curved frontage. 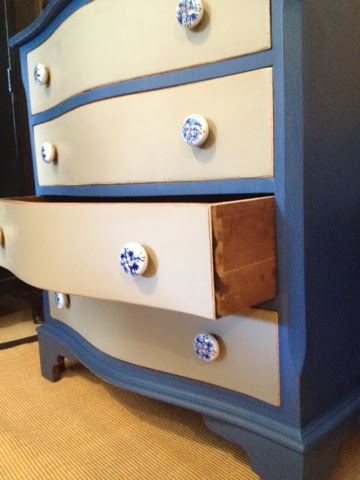 The varnish was in a sad state so I decided just to clean it up,smooth off the finish and use a two-tone style with navy blue & taupe paint to create a really different little set of drawers. 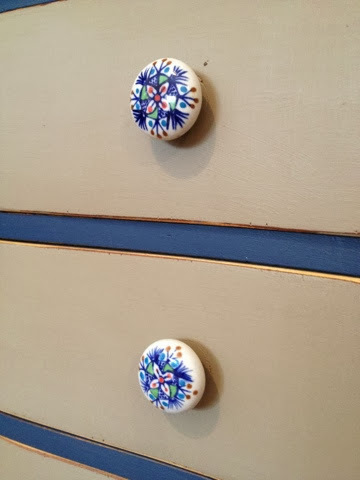 The cute knobs compliment the colours and add just enough charm and detail! I can see it between boys single beds, a fab height for a night-stand?